Dr. Anna Dolidze was born in Tbilisi, in what was then the Soviet Socialist Republic of Georgia. As a child, she experienced the dissolution of the Soviet Union, including a civil war and secessionist conflicts with Abkhazia and South Ossetia. In high school Dolidze won a scholarship to live with an American family and attend high school in Vermont. Upon her return, Dolidze started law school at Tbilisi State University, where she graduated with honors. In her final year she took part in the Telders International Law Moot Court Competition, and was honored as the Best Respondent and Best Oralist. She became a clerk at the Permanent Court of Arbitration in the Hague. Thereafter Dolidze worked for the international humanitarian organization Save the Children in Georgia. She was awarded a full fellowship by the Dutch government to study at Leiden University where she earned Masters Degree in International Law (LLM). In 2004 Dolidze was elected Chairperson of the Georgian Young Lawyers’ Association (GYLA). As the head of the largest legal advocacy organization in Georgia, she oversaw program activities conducted by 125 lawyers, took part in drafting legislative reform proposals, practiced civil rights litigation and represented the organization in National Constitutional Commission, Commission for the Human Rights in Prisons and the Expert Commission for Georgia’s European Integration. In 2006, Dolidze spearheaded a nation-wide campaign to prosecute high-level government security officials implicated in the murder of Sandro Girgvliani. In 2007 Dolidze left Georgia for United States as a Scholar at Risk because it was increasingly difficult to practice civil rights litigation. Dolidze has lectured transnationally, including at Duke University, Sorbonne University, University of Berkeley, Cambridge and Oxford Universities, Queens University of Belfast and Elmira Maximum Security Correctional Facility in New York State. She conducted human rights documentation and research for Russia Justice Initiative and Human Rights Watch. Then she earned her Doctorate in Law (SJD) at Cornell Law School with full financial scholarship and residential fellowship at Telluride House. In 2012 Dolidze addressed the Tom Lantos Human Rights Commission of the United States Congress on human rights violations in Georgia. In 2013 she became assistant professor of law at the University of Western Ontario, where she taught property law and international law. In May 2015 Dolidze was appointed as Deputy Minister of Defence for Republic of Georgia, overseeing the areas of education, social benefits and rehabilitation of wounded warriors. In June 2016 the President of Georgia appointed Dr. Dolidze as the Parliamentary Secretary of the President of Georgia (i.e. chief legal adviser), overseeing rule of law related issues as well as serving as the main liaison between the office of the President and the Parliament of Georgia. Dr. Dolidze has published widely on international law, human rights and transitional justice in academic as well as policy journals. Finally, Dr. Rfah received many awards; the last but not least was Women Super Achiever Award by the 6th World Women Leadership Congress and Awards on 17th February 2019. 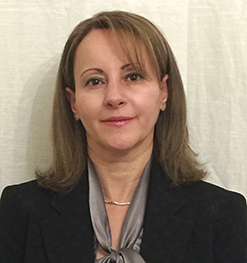 Hanane Benkhallouk is a Moroccan American senior consultant with a broad scope of expertise, with 18+ years of professional experience holding senior managerial positions in Fortune 500 companies, government and non-profit organizations. In Dubai since 2005 coming from New York where, she graduated with an MBA in marketing and finance with distinction. Hanane has been actively involved in human capital development, leadership and entrepreneurship development since her university days, with a focus on women advancement that she is passionate about, but her experience was cultivated further when she was in charge of the entrepreneurship and innovation programs across the Arab World at the Mohammed bin Rashid Al Maktoum foundation in Dubai. Currently, she is Co-founder & Executive Director of Sustain Leadership, a consultancy specialised in Diversity & Inclusion, leadership development and transformational change. Outside of her private consulting work, Hanane Benkhallouk speaks often at regional conferences and writes as a columnist in Harvard Business Review Arabic, and SME advisor magazine. She also sits on the advisory boards of a number of various SMEs and NGOs, and is well-known as a thought leader, an advocate for transformational leadership, innovation, entrepreneurship development, female advancement, and community engagement. Hanane has contributed to regional and global conferences and forums, such as the Women in Leadership Forum, E7 Summit in the UAE as well as the Lean in regional lead conference in Silicon Valley in the US. 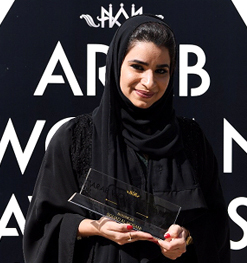 In March 2018, Hanane received Woibex’s Excellence Award for Women Leaders in the Middle East, and in August2018 she received the Woman in Leadership of the year at the Alleem business congress at Sharjah Chamber of commerce. Hanane aspires to contribute to the MENA region’s move towards an innovation and knowledge based economy. 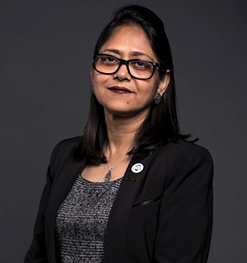 A staunch supporter of quality education with a strong commitment to academic excellence and unwavering dedication to the success of students, Prof. Abhilasha Singh is a Provost/Vice President of Academic Affairs at the American University in the Emirates. With a teaching and administrative experience spanning more than three decades, Prof. Singh holds a Doctorate in Psychology and have also added to her academic credentials, an executive program in Leading People from Sloan School of Management, MIT, and in Human Resource Management from one of the top most business school in India, Indian Institute of Management (IIM-C). Her professional credentials spans from being a Certified Practitioner from the Society for Human Resource Management (SHRM-CP) to a Certified Licensed Practitioner of EQ-i/ EQ 360 from MHS, Inc., Canada, Certified Trainer from HRD Academy, UK, Certified Professional Assessor from IPM, Canada and a Certified MBTI practitioner by CPP-Asia Pacific and apart from my research I enjoy training and consultancy in Personality Typology, Stress Management, leadership, Team Building, Communication and other Behavioral Aspects. Throughout her distinguished career, she was engaged in a series of academic administrative positions at various institutions and have been engaged in providing strategic directives at a senior leadership role and ensuring its implementation with determination, while working closely with the University President and senior administrative colleagues. In addition to advising the Board on strategic directives and liaising effectively between the President and the members of the Board as General Secretary of the Board of Trustees at American University in the Emirates, she was actively engaged in monitoring compliance with prescribed standards and mandating administrative requirements, through leading and developing highly effective team for operational excellence both as the Vice President for Research and Advancement and as Dean for College of Education, in addition to her role as Director of International Office. While she was actively engaged in her administrative role, she never let the researcher within her die and her passion for research resulted in many published articles in national and international journals of high repute and also in frequent invitations to numerous speaking engagements to present my research to national and international audiences. A keen researcher and a prolific writer, Prof. Singh has published more than 30 papers, articles and many case studies pertaining to the GCC region in national and international journals in the area of managing people like talent management, leadership, employee value proposition, stress management, knowledge management etc., while also being engaged in ensuring accreditation compliance documents for national and international accreditation for institutional effectiveness. She also had served as President and CEO of the College of Fashion and Design, accredited by the UAE Ministry of Education, while concurrently serving as strategic advisor (honorary position) to the President of American University in the Emirates, Dubai and as Chief Mentor at the Institute of Management Technology-Dubai, School of Management Sciences, India and Effat University in the Kingdom of Saudi Arabia, with rich and varied experience as a faculty, researcher, academic administrator and scholar. Prof. Singh’s efforts in education sector was acknowledged through many awards and accolades from various national/ international organizations including the best Indywood Award for Educational Excellence-2017, Best Researcher Award in 2015, ‘Education Leadership Award’, on August 1st, 2014 by Asia’s Education Excellence Award, Singapore, ‘Award for Teaching Excellence’ in the year 2013 by INDUS Foundation USA, and ‘Distinguished Service Award’ in the year 2009 by the Association of Indian Management Scholars-International apart from being the first to receive the fellow title from International forums of Management Scholars (INFOMS), USA award to foster excellence in management education awarded in March 2014. Needless to mention, her commitment to teaching and research excellence led to many research grants, including from the National Research Foundation, Ministry of Higher Education and Scientific Research on “From Education to Employment: Identification of Key Priorities for Employability of Emirati Nationals in Public and Private Sector”. While committed to bring educational excellence, she serves on the Board of many institutions and shatters the glass ceiling while truly believing in making a difference in facilitating quality education in the Higher Education. 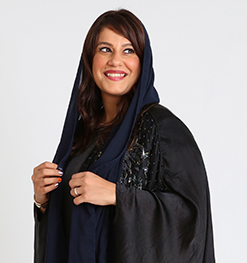 Ms. Laila Faridoon is a passionate Emirati Speaker, Author and a leading professional consultant on Project Management. 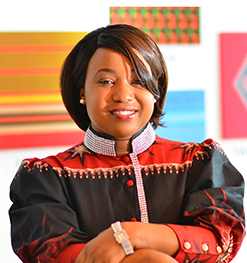 She is the CEO and Founder of Looking Forward Management Consultancies. She holds a Master’s degree in Computer Science. She graduated through Young Leaders Program under Mohammed Bin Rashid Leadership Program. She is currently the Secretary General of Hamdan Bin Mohammed Award for Innovation In Project Management, held under the patronage of Dubai Crown Prince since 2016. Ms. Faridoon is currently the president of PMI UAE Chapter of Project Management Institute (PMI) which has more than 2.9 million professionals across the world. principles of next generation project management in EMEA region. 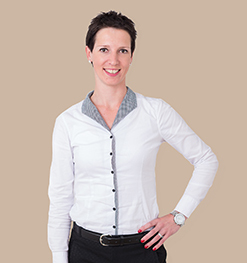 She is an active researcher in the field of project management. She has presented several topics at top conferences in EMEA, and her sessions at conferences have been rated highly, as she engages audiences in her unique style delivering messages on how to succeed in business with project management tips. Her contributions were featured in many books such as Business Driven PMO Success Stories: Across Industries and Around the World by Mark Perry (2013), The DNA of Strategy Execution by Jack Duggal (2018) and Advanced Project Management (2018) by Harold Kerzner. Ms. Faridoon is a Spiritual Coach in Wellbeing, Certified in Theta Healing and Karma Yoga. She has authored a book on “Looking Forward To the Bright Side” that is based on her own journey in life and gives you a guide on how to transform your life to the one that you want. Ms. Faridoon has received several awards, the latest being the Middle East Woman Leader in Corporate Management Excellence. 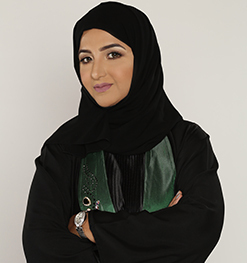 Shaikha Dr. Alia Humaid AlQassimi, is a social development expert at the Community Development Authority. Her main duties consist of providing expert leadership & direction by articulating Dubai Gov. vision to CDA strategic business units and creating actions towards the achievement of CDA corporate goals. Prior to that, Al Qassimi was the Acting CEO of the Social Care & Development Sector in Dubai’s Community Development Authority (CDA). She led a core sector represented by five main departments: Family Cohesion, Elderly, Social Cohesion, Disability and the vulnerable groups by developing high standard programs that ensure availability and access to services in the community. 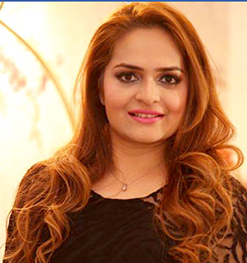 AlQassimi joined CDA in 2014 as Director of the Social Care & Inclusion Department, with a Bachelor Degree in Medicine and Surgery from Dubai Medical College (DMC) and Masters in Healthcare Management from the Royal College Surgeons in Ireland (RCSI), she has also been certified as a Chief Innovation Officer (CCIO) by Boston College. 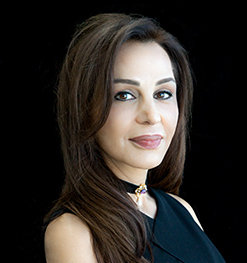 In addition to her position, AlQassimi is an Obstetric Gynecologist practicing in Al Garhoud Private Hospital in Dubai and is the first emirati as a senior member in the European Society of Aesthetic Gynecology delivering innovative techniques. AlQassimi’s efforts and hard work was the reason she was appointed for several renovation and development projects nationally and internationally. 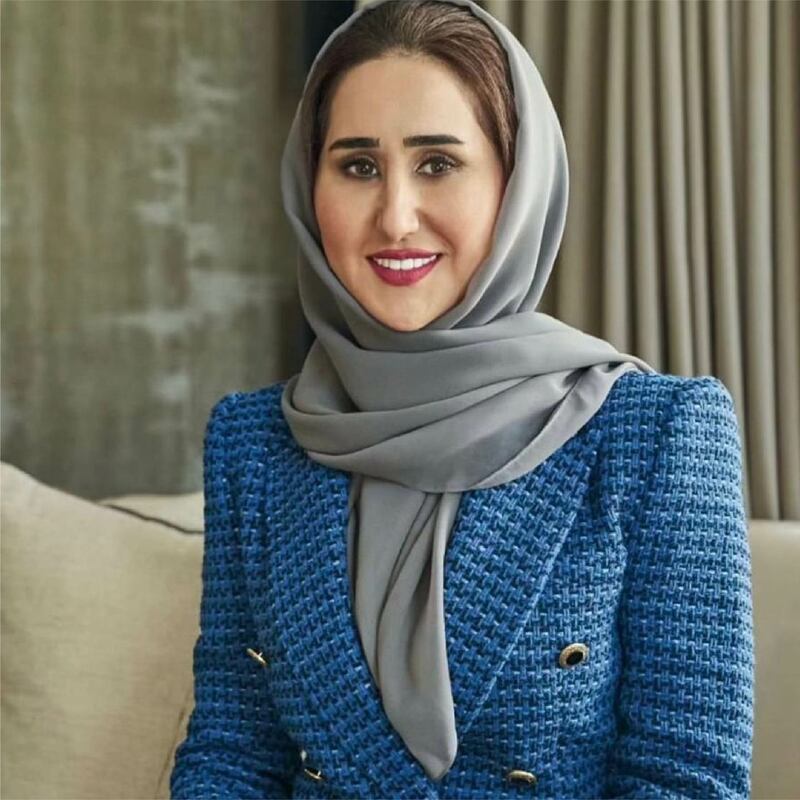 She has recently been appointed by H.H Sheikh Hamdan Bin Mohammed Bin Rashid Al Maktoum – crown prince of Dubai- to the board of directors of Dubai Autism Center. She is a founding board member of Friends Of Cancer Patients(FOCP), and a founding board member of the Royal College Of Surgeons in Ireland Alumni Dubai chapter where her portrait has been chosen as the first to be raised on the College “Leaders with an impact” wall. She was selected amongst women leaders to participate in the Women Leadership Exchange Program between UAE and Sweden, and was an elected board member of the Women for Sustainable Growth (W4SG)-an International NGO. Dr. AlQassimi -in addition to being a public figure and mother of five- has won “Inspirational Woman of The Year 2016” by the Arab Woman Award, and “Woman Leader in community Development Excellence Award” category of the 17th Middle East Women Leaders Excellence Award in 2017. Shaikha Dr.Alia AlQassimi is a graduate of Mohammed Bin Rashid Centre of Leadership Development Impactful Leaders Program & an assessor of Mohammed Bin Rashid Government Excellence Award 2018. تقدم الشيخة الدكتورة علياء بنت حميد القاسمي، نموذجاً متكاملاً لشخصية المرأة الرائدة في مجال القيادة في الحكومة والحياة بشكل عام، حيث تجمع بين حزمة واسعة من الخبرات والمعارف العلمية والعملية والمهارات الإنسانية والحياتية، مترجمة باختصار رؤية دولة الإمارات للمرأة الرائدة التي تقود أمتها ومجتمعها لمصاف الدول المتقدمة. تشغل الدكتورة علياء بنت حميد القاسمي منصب خبير تنمية اجتماعية في هيئة تنمية المجتمع بعد أن عملت كمدير تنفيذي لقطاع التنمية الاجتماعية والرعاية، حيث ترأس محور الحماية الإجتماعية و تشرف على تنفيذ استراتيجية أصحاب الهمم في إمارة دبي وعدد من أهم المشاريع والبرامج في الهيئة المعنية بمختلف فئات المجتمع والفئات الأكثر عرضة للضرر، لضمان تحسين جودة حياتهم و أسرهم، ودمجهم بشكل مدروس وفعَال في مختلف نواحي المجتمع. كما تمارس مهنتها كطبيبة وأخصائية أمراض نسائية وتوليد في مستشفى القرهود بدبي؛ حيث أنها أول اماراتية في تخصص الترميم و التجميل النسائي و أول إماراتية في عضوية الجمعية الأوروبية للتجميل النسائي. قبل انضمامها لهيئة تنمية المجتمع، شغلت القاسمي عدداً من المناصب الإدارية في مجال إدارة الخدمات والمرافق الطبية في هيئة الصحة بدبي، وعلى هامش عملها آنذاك كأخصائية أمراض نسائية وتوليد في مستشفى لطيفة بدبي، فقد تولت رئاسة قسم الطوارئ بين العامين 2013 و2014، حيث عملت على تطوير ومراجعة السياسات واللوائح استناداً إلى أحدث المعايير العالمية، وتأهيل فريق عمل لتطبيق مرحلة الانتقال السلسة إلى الأنظمة الحديثة، ووضع وثيقة المبادئ والمعاييرالتصنيف الشاملة لسرعة الاستجابة لحالات أمراض النساء والتوليد الطارئة. وكانت القاسمي قد تولت قبل ذلك منصب مديرة إدارة التعليم الطبي و تطوير العمال بالهيئة، حيث قامت بإنشاء قسم لتطوير الإجراءات وخدمات الشركاء، بما في ذلك الإجراءات المالية وتخطيط الميزانيات والفعاليات الاستراتيجية. وتولت الشيخة الدكتورة علياء إدارة عيادات صحة المرأة في مراكز الرعاية الصحية الأولية التابعة للهيئة على مدار عامين، ومسؤولية فريق التغيير والاتصال خلال عملية تحول دائرة الصحة والخدمات الطبية إلى هيئة الصحة بدبي. انتخبت الدكتورة علياء في العام 2006، نائباً لرئيس شعبة أمراض النساء والتوليد في جمعية الإمارات الطبية، وفي العام 2011، تم انتخابها لعضوية مجلس أمناء الجمعية، كما أنها كانت عضو مؤسس لجمعية أصدقاء مرضى السرطان وشغلت لفترة منصب نائب الرئيس للجمعية منذ العام 1999. و تم تعيينها في مجلس إدارة مركز دبي للتوحد في 2017 بمرسوم من الشيخ حمدان بن محمد بن راشد آل مكتوم. مثلت القاسمي المرأة الإماراتية القيادية في الخارج سواءً على المستوى العملي أو الشخصي. حيث اختيرت ضمن الوفد الرسمي الممثل لحكومة الإمارات في اجتماعات الأمم المتحدة لدول الأطراف في اتفاقية حقوق الأشخاص ذوي الإعاقة وعرضت آخر مستجدات خطة دبي 2021 واستراتيجية دبي للإعاقة 2020. كما اختيرت ضمن عدد من القيادات النسائية الإمارتية لبرنامج القيادات النسائية للتبادل المعرفي مع مملكة السويد. و شغلت منصب عضو مجلس إدارة في منظمة نساء للتنمية المستدامة العالمي (W4SG)، ومنصب عضو مجلس إدارة الكلية الملكية للجراحين في إيرلندا- ملف دبي (RCSI) و اختيرت كأول شخصية قيادية ذات أثر تم تدشين جدار الجامعه بها في دبي، و هي أول إماراتية تحصل على عضوية الجمعية الأورببية لعمليات التجميل النسائي (ESAG) . تقوم القاسمي بصفتها الشخصية دعم عدد من مبادرات المنظمات والجمعيات غير الربحية منها مؤسسة دبي العطاء وحملات التوعية بأمراض سرطان الثدي والقولون وتقدم ندوة سنوية بمرض ألزهايمر، وتحرص على المشاركة مع أبنائها في المسيرة من أجل التعليم والتي تنظمها "دبي العطاء" للتوعية بصعوبات الحصول على التعليم في البلدان الأقل حظاً. كما تحرص القاسمي على تخصيص جزء من وقتها للتوعية المجتمعية ونقل المعرفة، حيث كانت صاحبة فكرة تدريب أمهات المستقبل وتولت بنفسها تدريب دفعتين من طالبات كلية الدراسات الإسلامية بدبي على المهارات الحياتية والإسعافات الأولية. فازت بجائزة "المرأة الملهمة لعام 2016" ضمن جائزة المراة العربية، كما حازت على جائزة "المرأة العربية المؤثرة اجتماعيا" في عام 2016 من جمهورية مصر العربية ، و "المرأة القيادية المتميزة في تنمية المجتمع لعام 2017" ضمن جائزة الشرق الأوسط السابعة عشرة لتميز القيادات. تحمل القاسمي، عدداً من الشهادات المهنية التخصصية منها، شهادة البكالوريوس في الطب والجراحة من كلية دبي الطبية، وماجستير في إدارة الرعاية الصحية من الكلية الملكية الإرلندية للجراحين، كما أنها حاصلة على شهادة المدير التنفيذي للابتكار المعتمد من كلية بوسطن – الولايات المتحدة الأمريكية.هي خريجة برنامج "القيادات المؤثرة" التابع لمركز محمد بن راشد لإعداد القادة ، وهي ضمن 80 خبيرا من الكفاءات الوطنية من مقيمين جائزة محمد بن راشد للآداء الحكومي المتميز و التي تعد أرفع جائزة للتميز الحكومي في الدولة. Maz Hakim is an Afghan-Australian International Presenter trained at the Australian Film and Television Radio School. She is host to one of the hottest shows in the Middle East, The Trending 20 on Virgin Radio Dubai. She was awarded the Ultimate Female Entertainer in the Middle East for Cosmo Magazine 2015 and also been nominated for two Ahlan awards for Best Radio Personality and Best Female Personality in both 2014 & 2015. Maz Hakim has also presented and spoken at TEDx Canberra and recently hosted a national show in her home country Afghanistan. Maz Hakim has interviewed some established names in the entertainment industry, from The Script to Jared Leto,The Vamps, Fifth Harmony, Adam Lambert, Redfoo, Kiesza, Tinashe, Jeremieh, Kid Ink, Little Mix, Giulana Rancic, Kimora Lee Simmons and many more. Maz Hakim’s image was projected on one of the world’s most iconic buildings, the World’s only seven star hotel – the Burj Al Arab. This was a campaign led by Dubai Tourism and her image was one of the few selected in the UAE. She has a natural flare both on air and on stage and has hosted many well-known events: Main stage at the Formula 1 Abu Dhabi Grand Prix, Cosmo Bachelor of the Year Dubai, Grazia Fest, Nespresso Dubai launch, DP World International Women's Day - just to name a few. 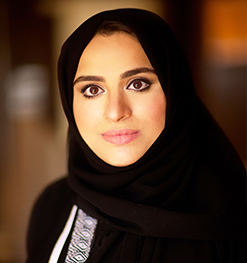 HRH Princess Lamia Al Saud is the Secretary General and member of the Board of Trustees at Alwaleed Philanthropies. For over 37 years, Alwaleed Philanthropies has supported and initiated projects in over 164 countries regardless of gender, race, or religion. The foundation collaborates with a range of philanthropic, government, and educational organizations to combat poverty, empower women and youth, develop communities, provide disaster relief and create cultural understanding through education. Working with its partners, Alwaleed Philanthropies seeks to build bridges for a more compassionate, tolerant, and accepting world. Princess Lamia was appointed Secretary General on 1 April 2016, having previously served as Executive Manager of Media & Communication at the foundation. She is the daughter of Prince Majed bin Saud, the son of King Saud bin Abdulaziz Al Saud. Princess Lamia earned her Bachelor of Arts degree in 2001 from Misr International University, Cairo, majoring in Public Relations & Marketing Advertising and minoring in Journalism. In 2003, she started the publishing company, Sada Al Arab. The company produced three magazines and was operated from Cairo, Beirut and Dubai. She also became a partner in a number of marketing companies based in Egypt, Lebanon and Saudi Arabia in 2006. In 2010, the Princess published her first novel, Children & Blood, through Dar Al Saqi, one of the most respected independent publishing companies in the Middle East. The book tackles the complex issue of honour killings, and reflects on the harsh realities with which women in the Middle East are faced with. In 2017, HRH Princess Lamia, Secretary General of Alwaleed Philanthropies received an honorary medal from the Vice President of Laos, Dr. Phankham Viphavanh in recognition of HRH’s philanthropic efforts in the country. In the same year, Princess Lamia Bint Majed Al-Saud was announced winner of the Achievement in Philanthropies Award at the Arab Women of the Year 2017, held in London. Princess Lamia received the first of its kind “Change Maker Award” at the Aid & Trade Conference in London in recognition of Her Royal Highness’s humanitarian and philanthropic efforts worldwide. Souad M. Al Hosani is the president of Nexus Group of Companies. She is the CEO of the Emirati Group and board of director at Safetic International safety and Security & Safetic technologies. She is the Ambassador of Blonde & Bear in the UAE. She received her Bachelor degree in Human Resource Management from the higher colleges of Technology in Abu Dhabi. Her previous work experiences includes Ministry of foreign affairs, Mubadala Development Company , the British Embassy in Abu Dhabi, Finance Department &Abu Dhabi Islamic Bank, all of which have enabled her to improve her knowledge and understanding of business activities in different sectors and environments throughout the UAE. Souad is the recipient of a United Nations Industrial Development Organization certificate for successful completion of a capacity building program for women entrepreneurs. Additionally, she has successfully completed the Intilaaqah public speaking program on behalf of Shell-Abu Dhabi. In 2013, Souad was awarded as the youngest achievers award by the American Chamber of Commerce in Abu Dhabi. In 2015, Souad was awarded the best female business service provider in the UAE. In 2016, Souad was awarded as one of the best female business women in the UAE by H.E Reem Al Hashimi. Souad has been awarded the Arab business women award for the year 2017. Linda is a human development specialist with more than 20 years’ experience in the fields of learning and development and organizational culture change, with a focus on team dynamics to assists leadership teams with their strategy and alignment. She is a Certified Team Coach (ORSC), and runs an international practice for coaching C-Suite Leadership Teams. Linda is a CRR Global faculty member and one of 40 worldwide international leaders, selected to train this material to other coaches, psychologists, corporate executives and leaders globally. In addition to being an ICF certified Coach, Linda is also a Co-Active Executive Coach and focuses on coaching and developing executive and leadership teams to improve and maximize overall individual and organizational performance. 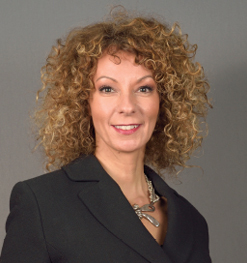 Linda has been responsible for providing guidance and assistance to organizations during their culture transformation and strategic change management initiatives and her experience in working with multi-cultural teams and managing large scale culture change projects brings skills which are well honed internationally. Linda delivers tangible results quickly and effectively across varied sectors such as banking, travel, retail, manufacturing, oil and gas, pharmaceuticals, construction and hospitality as well as many others. Her experience in working with multicultural teams across different countries, and her absolute passion for working in this field, has led her to become an accredited Inter Cultural Intelligence Facilitator and Coach. Over the last 11 years, Linda has been coaching and consulting in the field of strategic change. She brings this experience to her clients by working with companies, and in particular their leadership teams, to create alignment. She focuses on their team’s dynamics and goals, so that they may get on track and stay on track in fast-moving environments. 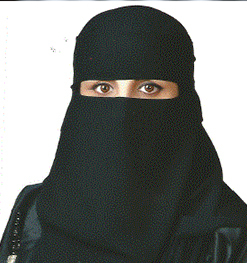 She is of Italian origin and has been living in the United Arab Emirates and working in the Middle East since 2004. 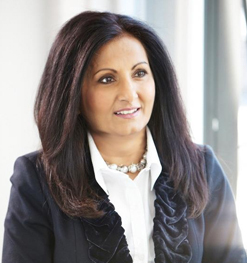 Almas Jiwani – President and CEO of Almas Jiwani Foundation – President emeritus of UN Women Canada; Internationally renowned speaker & Philanthropist. The Audacious Catalyst and Epitome for Gender Equality and Women's Economic Empowerment. She is internationally renowned for her efforts to encourage women’s social, economic, and political empowerment. She spearheads initiatives where corporate growth intersects with humanitarian development. A model of perseverance and determination, Ms. Jiwani’s efforts to strengthen women’s economic capacity as entrepreneurs and producers have earned her accolades. She plays a crucial role in building networks among charitable institutions and socially responsible businesses. Ms. Jiwani is a powerful and influential speaker and she continues to travel across the globe to deliver keynote addresses, speeches, and presentations on improving the status of women. She addressed over 400 parliamentarians from 42 countries on the benefits of economically empowering women and the roles and responsibilities of parliamentarians at the International Assembly in the Dominican Republic and Quebec City. More recently, she addressed the Pan Africa Media Conference, Asia-Pacific Economic Cooperation, World Bank, Women in Leadership Forum in Abu Dhabi, African Development Bank conference, and the World Forum alongside Nobel Peace Laureate Archbishop Desmond Tutu and holistic health/New Age guru Deepak Chopra. She is CEO of Frontier Canada, a communications and marketing company based in Toronto, Ontario. In 2013, Ms. Jiwani was appointed as a member of Magna Carta Canada honorary committee alongside with former Country Prime Ministers and high level political dignitaries. She was also appointed as good will Ambassador of the World NGO. In 2012, Ms. Jiwani made history as a state visitor in Pakistan when she addressed one million women on gender inequality. In June 2012, she was appointed as a Global Ambassador of Peace by the Universal Peace Federation. She is a member of the Global Advisory Board of Women in Leadership – NASEBA Corporation in the Middle East and Dean, Faculty of Law at Istanbul University in Turkey, Pamoja Kenya Mentorship Alliance, Enerdynamic and Global Warming Prevention Technologies. • In a letter sent to the UN Women Headquarters, Ms. Jiwani received praise from the Prime Minister of Uganda for her contributions to promote gender equality in Africa. • In April 2012, Ms. Jiwani partnered with the government of Indonesia to help draft a bill and develop and implement gender equitable policies in the country. • She has been interviewed by Peter Mansbridge, chief correspondent of CBC News, on “One on One” and Steve Paikin of TVOs “The Agenda”. She has also been interviewed on CTV, Rogers TV, and OMNI TV networks. • Nation Media from Africa has featured Ms. Jiwani’s speeches, interviews, and achievements on several occasions. • LifeStyles published an extensive interview highlighting Ms. Jiwani’s achievements and passion for global gender equality, R.S.V.P. Magazine published a multiple-page editorial on Ms. Jiwani’s work, and Women’s Post declared Ms. Jiwani a "Woman to Watch”. Anna Roberts is independent communications consultant with a long standing career in international TV and Radio, Anna Roberts has advised CEO’s, entrepreneurs and senior government officials. She has developed an online academy for communications training and is a mother of twins. Assistant Professor, Educational Leadership - Higher Education,Assistant Director of Entrepreneurship Center at Albaha University, KSA. Currently, Dr. Alghamdi is working as an Assistant Professor, Educational Leadership - Higher Education and Assistant Director of Entrepreneurship Center at Albaha University, KSA. 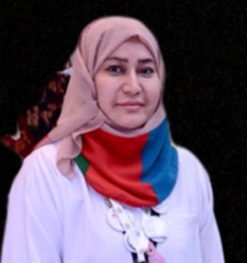 Furthermore, she worked as a faculty member at King Abdulaziz University and earned her undergraduate degree from Taibah University in Mathematics and her Master’s degree from Umm Al-Qura University in Educational Administration and Planning, and additionally, she obtained her Ph.D. from Western Michigan University, USA, in Educational Leadership - Higher Education. Thus, she has developed a unique perspective regarding women leaders’ empowerment from multiple backgrounds. For her area of interests, she is interested in women’s leadership in higher education as well as the empowerment of young women leaders & entrepreneurs. Regarding the participations, awards, and community service, in 2017, Dr. Alghamdi supervised the awarded first-place research at the Kingdom of Saudi Arabia that participated in the 11th Scientific Conference led by students for middle school entitled "Future Jobs in the Light of Modern Technological Trends of NEOM Project". In 2015, she was selected to present a commercial video for the University of Western Michigan. Also, she participated in the International Festival at Ohio State University that was attended by nearly 31 countries in which the Saudi club achieved the second place in 2013. Dr. Alghamdi is Member of the Golden Key International Honor Society in the US. Dr. Alghamdi has more than 10 years of experiences in higher education as a faculty member at KAU & BU in KSA along with a filed experience with Student Activities and Leadership Programs at WMU. She previously worked as an academic advisor for Graduate students at BU. 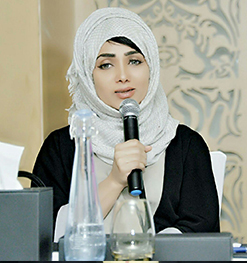 Dr. Alghamdi has attended several conferences, symposiums, and scientific seminars in leadership and she received three diplomas in English as a second language from the ALP Institute at the University of Ohio, the ELS Institute at the Ohio University of Dominican, and the University of Capital, USA. dancer and theater actress. Worked in Dubai and India professionally. she choose to go for architecture where art meets study. can’t do it if she decides to go for it. gathered lot of experience in interior designing field, Dubai. pharmacies, optical store and nutrition concept. panel for Women in leadership SME 2017 Dubai. other women to achieve their goals in life. She has been given opportunity to speak at various forums. over the world working for women, girl’s empowerment. shows for non-profit organizations in Dubai. Passion for dancing and acting gives her energy…. 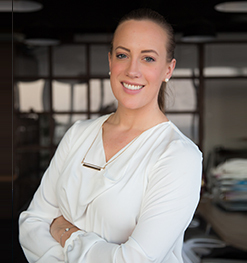 Sarah has forged a successful career in entertainment marketing and events, where she utilizes celebrities to support and amplify marketing, communications and corporate social responsibility campaigns for top tier brands. As managing partner of Maven Marketing & Events, Sarah - being from Atlanta, USA - has coupled her experience and relationships in the USA entertainment market with middle eastern knowledge to successfully execute campaigns with dozens of talent including Will Smith, Kobe Bryant, Giuliana Rancic, Alessandra Ambrosio and more. Her turn-key experiential marketing solutions have redefined the role of entertainment marketing and public relations in the region. Her agencies client portfolio of prestigious government and corporate clients including Dubai Tourism, Vox Cinemas, DMCC, Mubadala and Emirates Airlines is a reflection of this stature. Nouf Rashdan Alajmi is an experienced lawyer with knowledge in working across a wide range of legal issues including criminal and financial matters. A firm believer in knowledge sharing and building a strong society, Nouf founded the Waeya application to educate women and youth in Saudi Arabia on their legal rights and provide them with legal guidance. 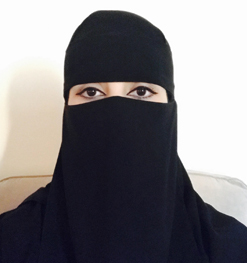 An innovator in her field, Nouf previously lead a project to provide legal counselling for female prisoners at Al-Malaz women prison in Saudi Arabia for which she was given an award in 2014. Nouf currently works at the Faisal Altai Law Firm in Riyadh where she manages the day-to-day processes and procedures of the firm. She holds a Bachelor’s Degree in Islamic Law and a Master’s Degree in International law and Financial Markets from the University of East London. Founder and Managing Director,,ICON Investment Consultants. Nina Langerholc Cebokli has been active as the Chief of Staff at the Ministry of Public Administration in Slovenia since 2014. She serves as theright-hand manto the Deputy Prime Minister of Slovenia and is responsible for coordination and organisation of the Ministry's mainactivities and projects. In addition to the general scope of this function, she works extensively on strategic management, organisational development, and innovation management. She is passionate about the systemic approach and focuses on implementation of modern methods and technology in public systems in order to achieve greater flexibility and effectiveness in addressing users’ needs. She holds a certificate in design thinking and is the co-creator and manager of several innovative projects in Slovenia. She has been following the vision of sustainability throughouther entire career, and even beforehand. She received her Bachelor’s degree in Geography and a Master’s degree in Law and Management of Real Estate. Before becoming the Chief of Staff at the Ministry of Public Administration, Mrs Langerholc Cebokli held some management positions in other areas, such as social care and urban and spatial planning; however, these positions were always in terms of balancing the system and the creation, presentation, and implementation of change. Before her professional career she was a prominent classical guitar player and won several national and international music competitions. Based on her contribution as the key creator and managing force ofinnovative recognizable and awarded projects, such as the Partnership for Change,Nina Langerholc Cebokli was presented with an award as the AmCham Top Potential of the year 2016 in Slovenia and is often presented as an ambassador of positive change and a voice of the younger generation. Arshia Tayyab is the founder, President, and CEO of Computer Consultants International, Inc., a privately held and minority-owned business. As an accomplished industry spokesperson, Arshia frequently speaks on television, radio, and newspapers. Academia is a large part of her life; she holds a B.S. in computer Science from the University of Maryland, an M.B.A from Pepperdine, has graduated from the Director’s College and participated in the eCommerce Best Practices Conference in Law and Technology at Stanford, and regularly attends the invitation-only Corporate Governance Conference for CEOs at the Kellogg School of Business. She has attained a certificate in Global Enterprise Management from the University of Oxford, and has obtained her degree from the Owner/President Management (OPM) Program at the Harvard Business School. Currently she is pursuing her doctorate in naturopathic medicine and has completed the course work in the Homeopathy field. Arshia is a member of the exclusive TCC travel Century Club; she has travelled to 107 countries which awards her the distinction as the 3rd most traveled woman in the United States. While on her travels, she writes a blog to share her unique experiences. Her fluency in English, German and Urdu, as well as a broad familiarity with Turkish, Arabic, French, and Italian languages assists her in her travels. When not overseeing the operations at CCI, Arshia has spent her time between serving on the board of Directors for Big Sister for Big Brothers and Big Sisters of Snohomish County in Washington, fundraising for BBBS organizations, serving as a Professor at Everett Community College in Washington, authoring publications such as Windows NT 4.0 Security Fundamentals and the Replatforming Guide for SAP, PeopleSoft and Siebel. 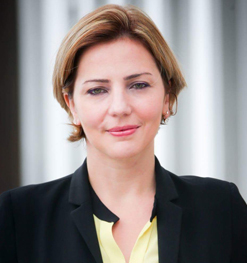 Dr. Afef Haddad is the Deputy to the director of the Maghreb and Malta at the World Bank Group (WBG). She oversees the development and execution of strategies, programs and projects of the World Bank in the Maghreb countries and Malta and is leading the initiatives on gender issues. Dr. Haddad is currently leading the World Bank’s Women Economic Empowerment Initiative in the Maghreb. This innovative initiative leverages the creativity of the Maghreb’s Technology savvy millennials to empower rural women. The “EmpowerHer Maghreb” initiative aims at engaging the youth to develop solutions to address the economic opportunity challenges faced by rural women who are most in need and have much to offer. Dr. Haddad has extensive operational experience in three regions: Latin America and the Caribbean, Middle East and North Africa, and Sub-Saharan Africa. She also has extensive WBG corporate experience because of her work in the office of the Global Practices’ Vice Presidents where she led the strategy update efforts to the Executive Directors. various campaigns, which were directed towards education. of the only companies where UAE Nationals are trained by UAE Nationals. awareness, profiling, personality awareness, time management and more. Emirates Islamic Bank, First Gulf Bank, Abu Dhabi Ports, and Enoc. بدأت سعادة شمسة صالح مسيرتها المهنية مع مؤسسة دبي للمرأة في عام 2008، وشغلت فيما بعد منصب مدير إدارة الاستراتيجية والتطوير المؤسسي حتى العام 2011، حيث تم تعيينها مدير تنفيذي للمؤسسة. وتتولى سعادتها أيضاً منصب الأمين العام لمجلس الإمارات للتوازن بين الجنسين الذي يركز على تحقيق رؤية الإمارات لتصبح رائدة في مجال التوازن بين الجنسين على الصعيد المحلي والإقليمي والدولي. وتحت ادارتها أطلقت مؤسسة دبي للمرأة العديد من المبادرات الهامة والمشاريع الحيوية التي تخدم رسالتها والهادفة الى تعزيز دور المرأة الإماراتية العاملة كي تساهم بشكل حيوي وفعال في المجتمع. وبصفتها المدير التنفيذي، قدمت سعادة صالح العديد من التصورات وساهمت في التنفيذ الناجح للعديد من المبادرات البرامج والفعاليات التي تشمل "منتدى المرأة العالمي" في دبي، والذي يعد أول انعقاد لـ "منتدى المرأة للاقتصاد والمجتمع" من نوعه في منطقة الشرق الأوسط وشمال أفريقيا، "منتدى القيادات العربية النسائية"، "مبادرة المرأة في مجالس الإدارة"، "برنامج القيادات النسائية للتبادل المعرفي"، "ملتقى قيادات الإمارات"، "المشروع الوطني للحضانات" والعديد من المبادرات الاستراتيجية الأخرى. وتتمتع سعادة شمسة صالح بخبرة واسعة في مجال التخطيط الاستراتيجي وتطوير الأعمال وإدارة المؤتمرات العالمية، حيث قامت بتطوير أعمال مؤسسة دبي للمرأة وإدارتها ووضع خطط العمل ومتابعتها للتأكد من تحقيق الأهداف المنشودة، الى جانب قيادتها لفريق البحث في المؤسسة لإجراء الدراسات اللازمة لتحديد الصعوبات التي تواجهها المرأة الإماراتية في مسيرة تطورها وإيجاد الحلول المناسبة لتلك التحديات. قبل انضمامها إلى مؤسسة دبي للمرأة، عملت سعادة صالح في بورصة دبي العالمية كنائب رئيس لشؤون التخطيط المؤسسي وإدارة المشاريع. كما عملت قبل ذلك في سلطة منطقة دبي الحرة للتكنولوجيا والإعلام كمختص في الاستراتيجيات والمشاريع الخاصة إلى جانب دورها كمدير بالإنابة في قسم الاستراتيجة والمشاريع الخاصة. HE Shamsa Saleh began her career with Dubai Women Establishment (DWE) in 2008, rising to the position of Director of Strategic Development & Corporate Development, followed by Chief Executive Officer in 2011. HE is also Secretary-General of the UAE Gender Balance Council, which was established to support the UAE’s vision of becoming a regional and international leader in gender equality. Under her leadership, DWE has grown from strength-to-strength, launching several key projects and initiatives which support the Establishment's mission to enhance the crucial role of UAE women as contributors to their society. These include Global Women’s Forum Dubai, the first Women’s Forum for the Economy & Society event to be held in the MENA region, the Arab Women Leadership Forum, Women in Boards Initiative, Women Leadership Exchange Program, Emirates Leaders Gathering and the National Child Care Centers Project, amongst many more. Prior to joining DWE, HE Shamsa Saleh served as Head of Corporate Planning & Projects Management – Vice President Corporate Strategy at Dubai International Financial Exchange (DIFX) from 2006 to 2008. HE also worked as Strategy and Special Project Senior Analyst, as well as Acting Manager in the strategy department at TECOM, from 2002 to 2006. بداية نتقدم إليكم بخالص الشكر والتقدير لموافقتكم على المشاركة كمتحدث ضمن فعاليات المؤتمر،ونحن على يقين تام من أن الحضور بالمؤتمر سيستفيدون من خبراتكم الحصيفة ومعرفتكم المميزة عن آخر المستجدات والتكنولوجيات الخاصة بالمدن والحكومة الذكية، والعمل على تطبيقها في عمليات التحول من الأنظمة التقليدية إلى نظام المدن والحكومة الذكية، ونستطيع أن نجزم من أن مداخلتكم سوف تثري المؤتمر من خلال طرحكم للعديد من التحليلات والأفكار الحديثة ومشاركتها مع المشاركين الإقليميين والدوليين بالمؤتمر. We thank you for your valuable participation and contributions that you have extended towards the success of Woibex Conference. Woibex 2016 was a great success and your contribution was very significant and helped us in achieving our goal and this was possible because of your continued support and we look forward to have your support and hope to see you all again in our upcoming events. With great pleasure, on the occasion of International Women’s Day, Woibex presents to you the "21st Global Women Leaders Conference", which will take place on March 6-8, 2018 in Dubai, UAE. Woibex, one of the largest global women leaders and entrepreneurs event, aims to forge strong partnership where women from west-east and north-south meet and revolve around the future of women leaders development to exchange innovative strategies and practices that drive the women leaders to become more successful and to set and create innovative strategies that will make a difference to women leaders involvement in the competitive global markets. It is the time for successful women leaders from around the world to be empowered and to get involved in economic ties and support to bridge the political and cultural divide between nations. It also directs them towards greater aspirations in their professional lives, and provides them with a new perspective on their role as leaders. The 16th Middle East Women Leaders Awards which will be held on 9th March will recognize the regional and global achievements of women leaders and entrepreneurs. On this great occasion, we would like to invite you to suggest speakers who you think you would like to hear at the event and also what topic you would like to hear about as a "Keynote" at the 19th Global Women Leaders Conference in Dubai, UAE. Please click here to submit your suggestions.